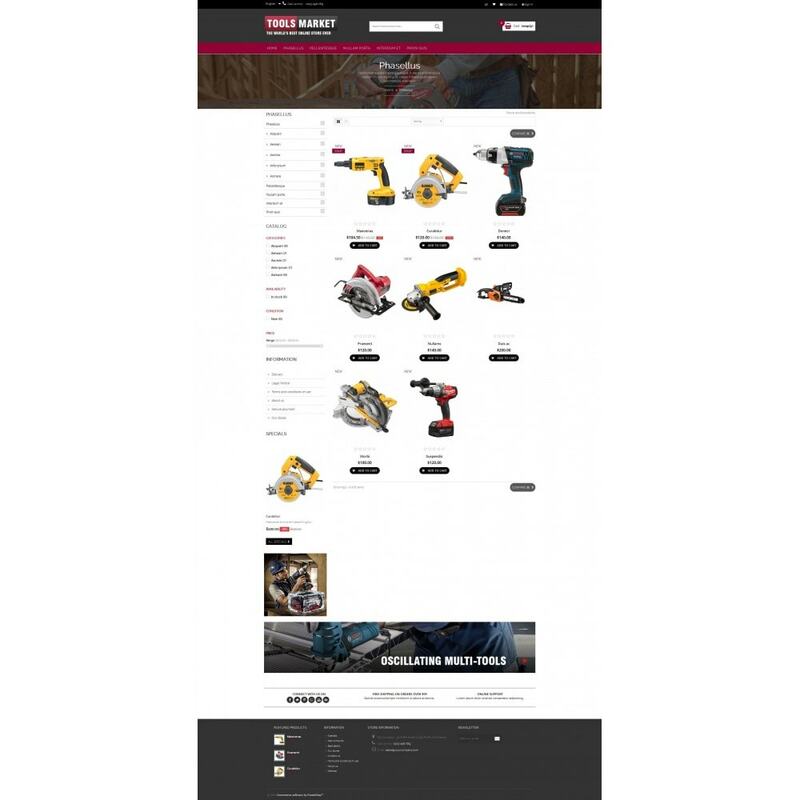 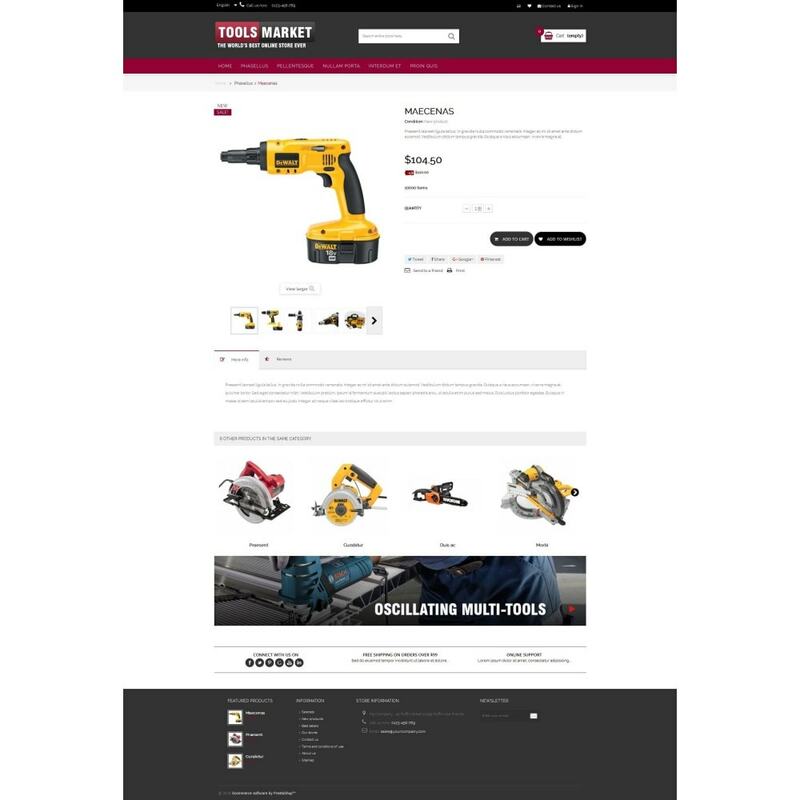 Tools market Theme is an ecommerce responsive theme with clean design and professional look. 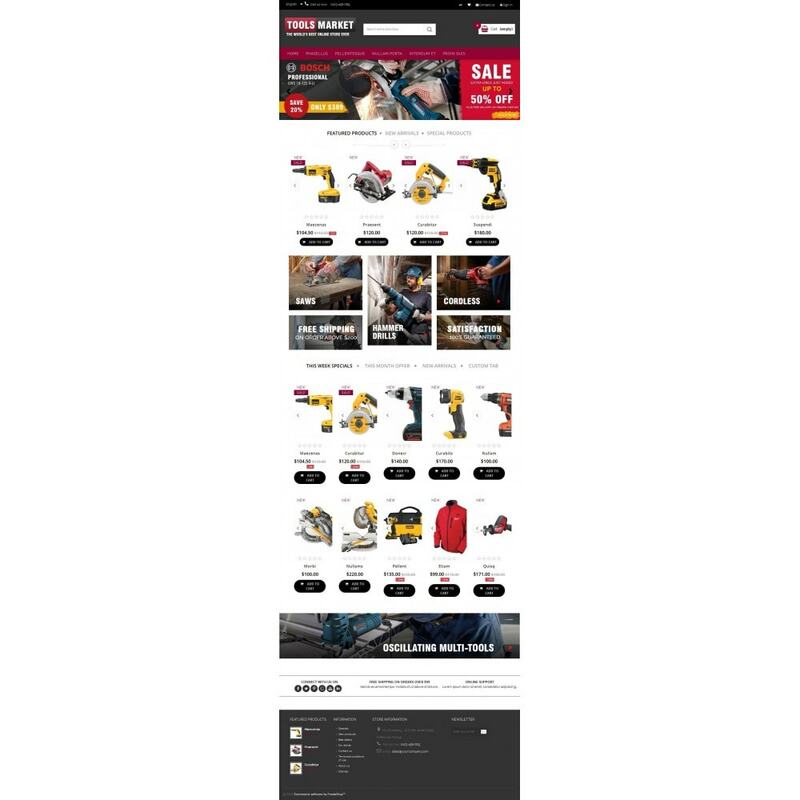 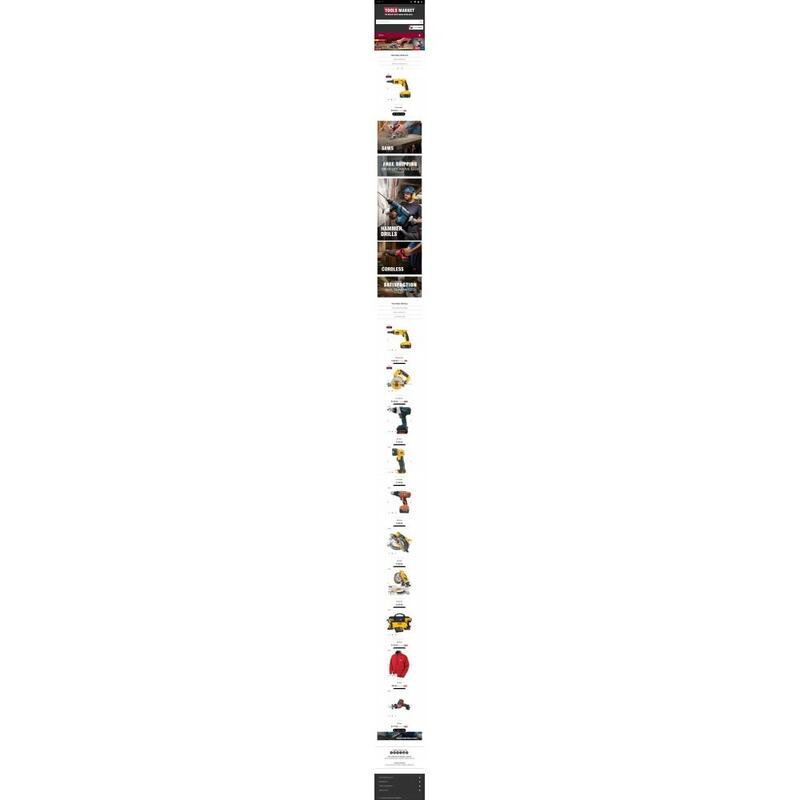 This theme is can easily fit to all the products (Tools market, Electronics, Medical, Food & Fruits, Neutral, Furniture, Jewelry, and much more). 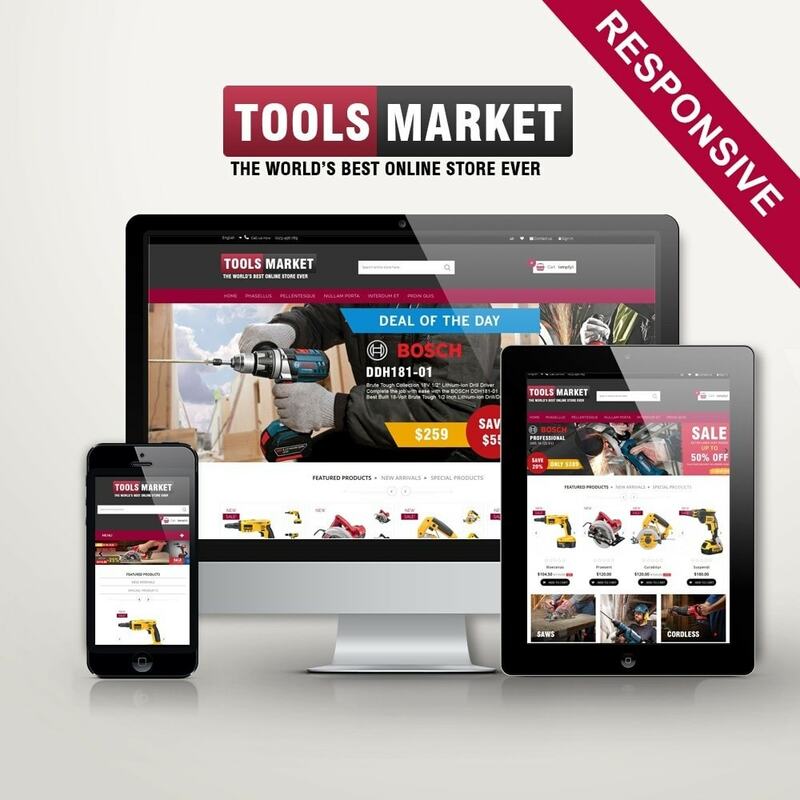 Tools market Theme is an ecommerce responsive theme with clean design and professional look. 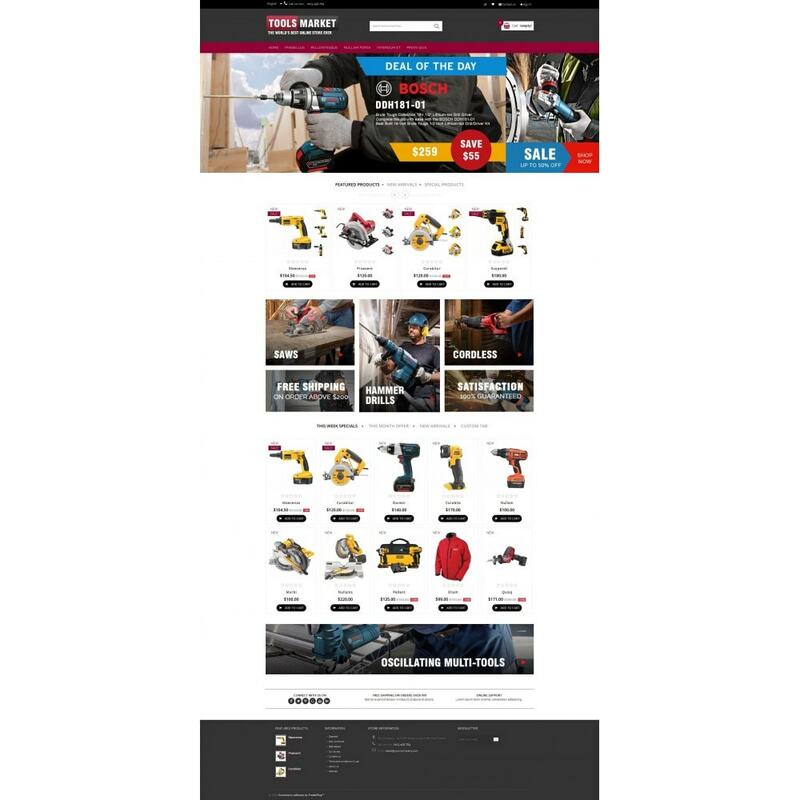 This theme is can easily fit to all the products (Appliances, Electronics, Organic, Medical, Neutral, Furniture, Jewelry, Electronics and much more).